As the Director of Nursing for Benedictine Living Community of St. Peter, Minnesota, the American Health Council is proud to recognize Molly Wendroth in their Board of Nursing. Ms. Wendroth brings with her a wealth of knowledge and expertise in Geriatrics and exceptional Catholic senior care, providing long-term assistance for aging patients so that they may live as independently as possible. 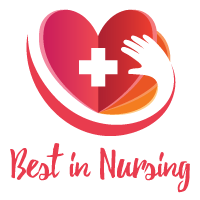 With an MSN in Nursing Leadership & Management and BSN from Western Governors University, along with an AS in Registered Nursing from Rasmussen College-Minnesota, Ms. Wendroth brings with her 6 years in her current role as Director of Nursing and 19 years altogether in the healthcare industry. According to her, Ms. Wendroth became involved in her present profession as she has always wanted to work in a career dedicated to helping the lives of others, and attributes her success to never settling, staying motivated, and the desire to be the best one can possibly be. Day to day responsibilities for Wendroth consist of overseeing all resident care within a 79-bed facility, working in skilled nursing care, and supervising a staff of approximately 90 healthcare professionals. She also teaches as an Adjunct Professor at her alma mater, Rasmussen College School of Nursing. Apart from her nursing career, Ms. Wendroth is also involved in charitable work as a monthly caregiver support group facilitator for The Alzheimer Association, a non-for-profit organization dedicated to the care and research of Alzheimer’s Disease. Her goals within the next five years are to continue to grow in both her nursing and teaching careers. In her spare time, Wendroth enjoys playing sports with her children, exercising, and traveling. The Benedictine Living Community of St. Peter includes skilled nursing services–both short-term rehabilitation and long-term care–at the Benedictine Health Center, and independent and assisted living at Benedictine Court. Our indoor walking corridors will take you to River’s Edge Hospital, Live Well Fitness Center and Mayo Clinic Health System St. Peter. This unique campus setting links the Benedictine tenants and residents to the only full continuum of care in the area. Our campus provides a caring home for many with the help of the Benedictine Sisters of St. Scholastica Monastery along with management oversight from Benedictine Health System. Benedictine Health Center leases the building from the City of St. Peter.